I do all of my work in a 570 square foot attached garage. The space needs to function as a photo studio, mechanics shop, a metal fab space, and occasionally I do composites work. 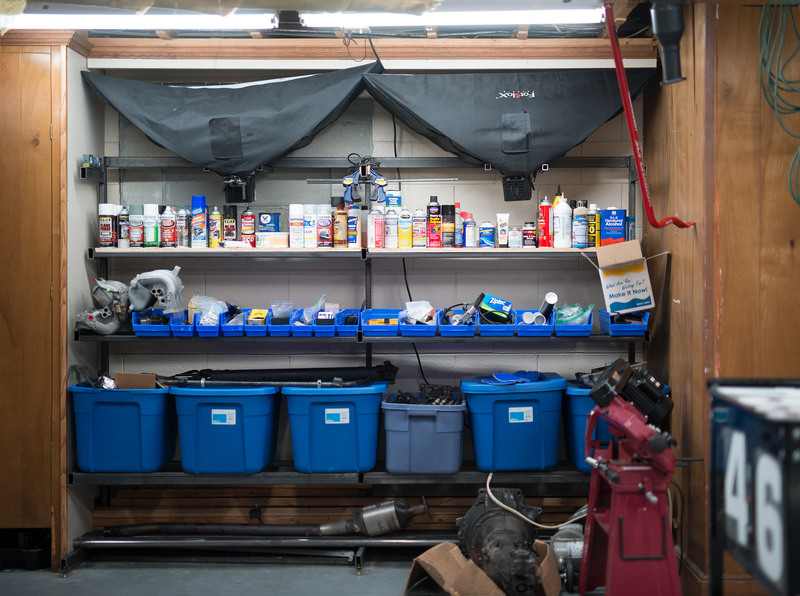 In the last few years I reached a point where I had too many tools and parts to store and there was no way to get my space picked up and organized. Building content for this game involves storing a lot of parts which has made the problem worse. This panorama is a good before picture. The 4×8 OSB box is a composites curing oven I don’t use anymore- it was the first thing to go. The back wall has a bookshelf for cans, a filing cabinet, and junk piled around it. I decided to build a storage rack to make better use of that space. I picked up a few sticks of 1×2 14 gauge- I want the front to be open and 1×2 is stiff enough that it can hold a decent cantilevered load without gussets or support at the front. I also used some 1″ square 16 gauge to run horizontally and hold the small bins. 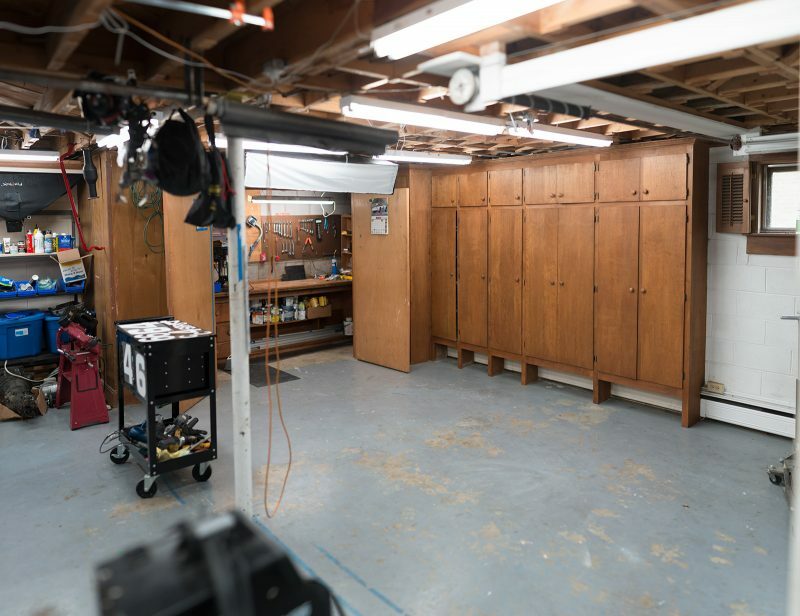 The total dimensions of the storage rack are 100″x62x24″. The bottom of the rack holds long stock, the next level up holds bins which are each large enough to hold a shortblock. Above that I have small parts bins, then a shelf for cans, and storage for the monolights I use for scanning. I can probably sneak some small shelves into the negative space between the lights.